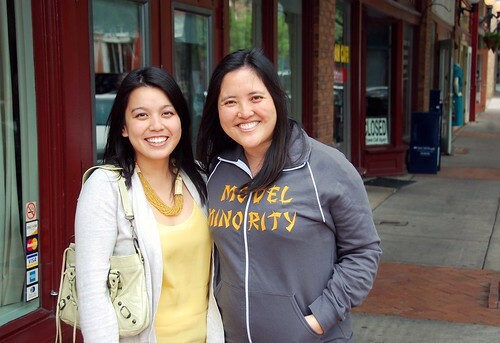 One highlight of our first Dallas trip was Sunday brunch at Hattie's with Tam Pham and her husband! 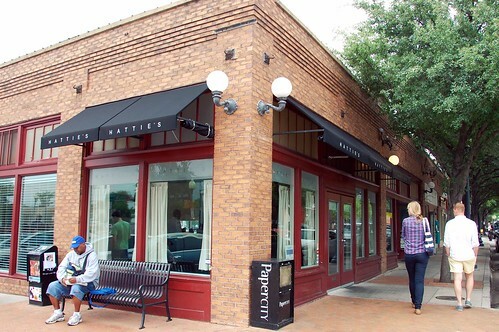 Hattie's is refined Texas loveliness. 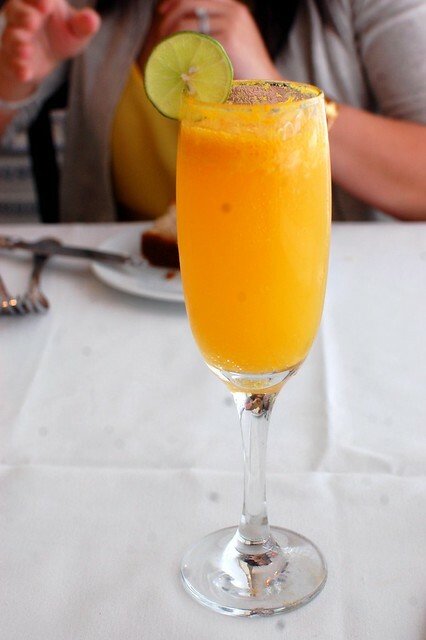 I toasted Tam Pham and her husband with a mimosa -- they drove a long way! What great Internet friends! 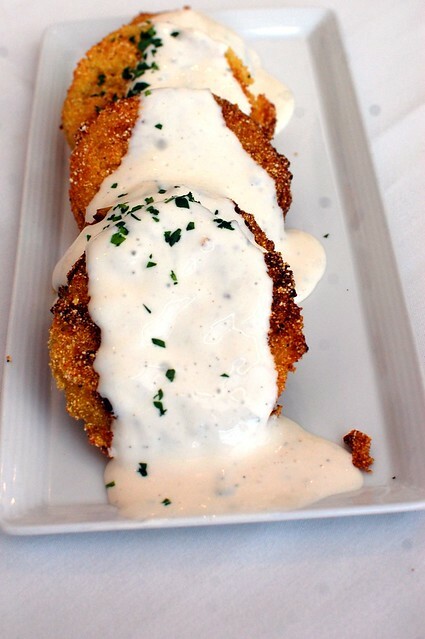 Fried green tomatoes with buttermilk dressing. 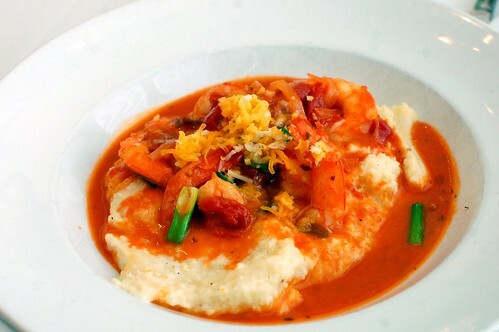 Low country shrimp and cheddar grits in Tabasco pan sauce ($16.95). 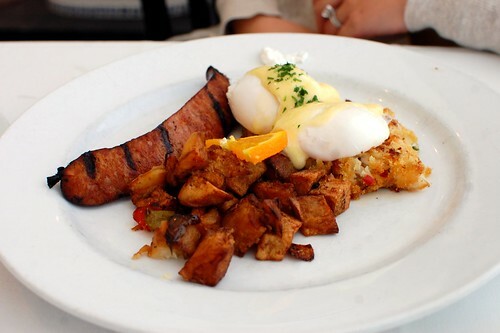 Poached eggs on Hattie's crab cakes with Hollandaise ($14.25) and an extra sausage. 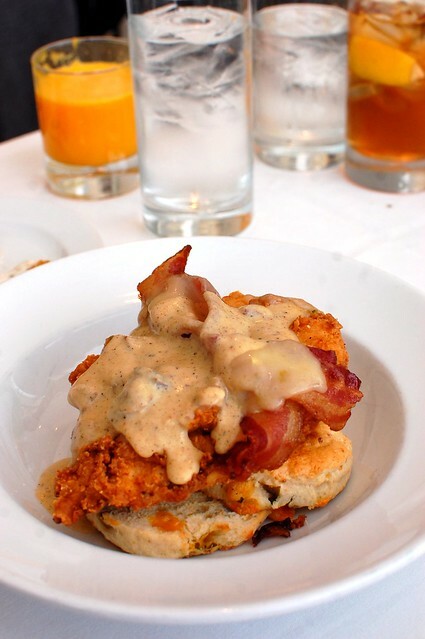 Special of the day -- fried chicken, bacon, gravy, and biscuits. A fancy KFC Double Down! 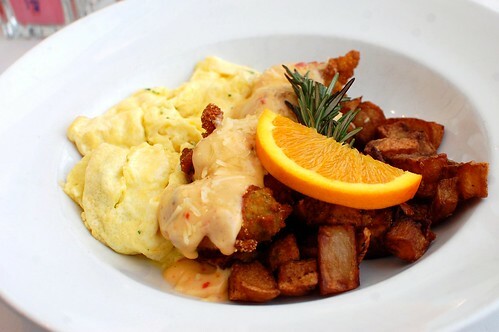 Hattie's Hangtown Scramble -- herb scrambled eggs, bacon-wrapped fried oysters, and hash browns topped with Parmesan shavings and Hollandaise sauce ($13.25). 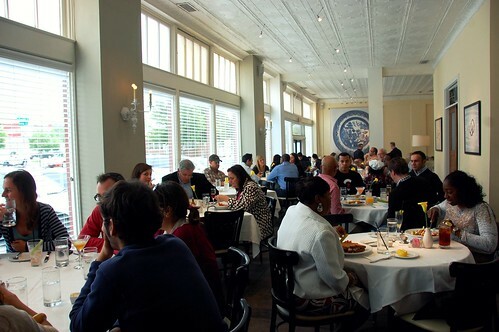 I highly recommend that you brunch at Hattie's when you visit Dallas. Great food and cheery Texas hospitality! I love Southern food. Reading this is making my stomach growl! Bacon wrapped fried oysters? YUM!! 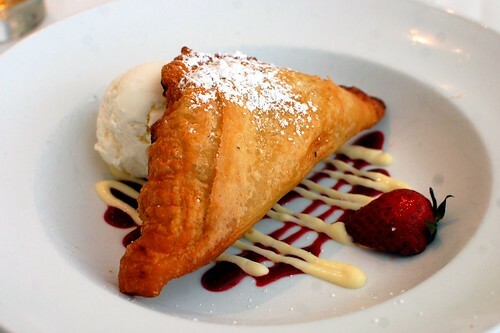 Yum - that looks so tasty! 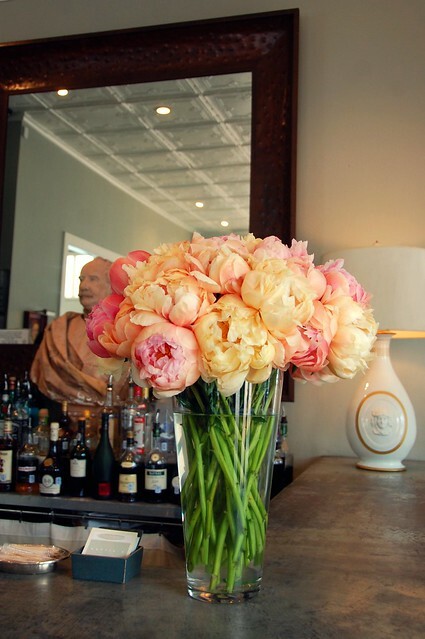 and it all looks so elegant. yay tam pham!